Sometimes doing the same thing over and over again can be boring. This is why there are several ways to spice up your intimate life with your partner. Stop imagining things like being extra adventurous like doing the deed elsewhere, public maybe. No. That’s not what you really want. But there are other things that can make you more adventurous, more extreme without putting yourself on the line for public humiliation. There’s something that can make you have an extreme performance providing extreme delight to your partner in the sense of taking Robust Extreme for Men! Note that Robust Extreme is not a medicinal drug and should not be used to treat the symptoms of any disease. Robust Extreme should be 1-2 hours before going down to business. 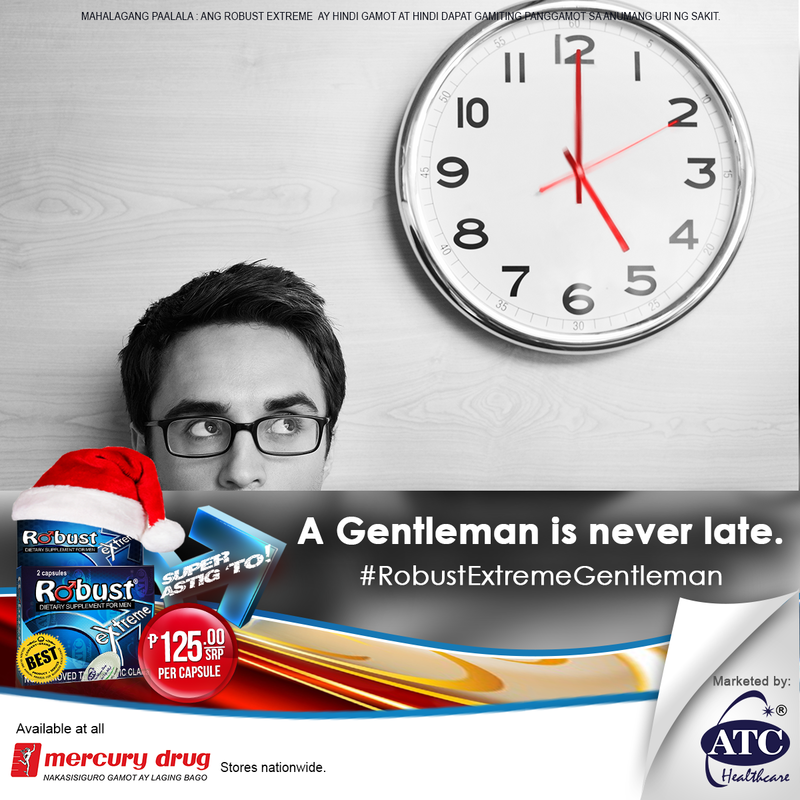 Robust Extreme is SRP P125.00 per capsule available at all Mercury Drug and other leading drugstores and supermarkets nationwide.